Microsoft buys Skype for $8.5 Billion. Will this acquisition affect Google? Microsoft has agreed to buy Skype Technologies SA for $8.5 billion in cash to get the VoIP company Skype with its 663 million customers. Skype is the the world’s most popular Internet calling service. It was founded in 2003 by Swedish entrepreneur Niklas Zennstrom and Janus Friis. Skype is providing free online chat services and premium services such as group video calling. Google Talk service is the closest competition for the Skype services. In 2008, at the time of global economic recession, Skype became the largest carrier of international phone traffic for the first time. While international phone traffic fell sharply, Skype carried 33bn minutes of international calls in 2008. It is about 8 per cent of total international voice traffic. The Washington-based telecoms consultancy TeleGeography estimates that Skype’s international traffic volume grew 39bn minutes in 2010, more than twice the volume gain achieved by all telephone companies in the world, combined. Skype has taught millions of callers that they no longer need a telephone company to talk to friends, family, and business partners abroad. Microsoft will acquire Luxembourg-based Skype from an investor group led by Silver Lake. The agreement was approved by the boards of directors of both companies. It seems Microsoft is planning to use Skype’s services to attract web users and to narrow Google's lead in Internet advertising. Microsoft is NOT the first company to buy Skype. Skype was bought by eBay in 2005 for $3.1 billion, and eBay then sold the majority of its stake in 2009 to a private investment group for $1.2 billion less than it paid. JPMorgan and Goldman Sachs are advising Skype on its $8.5 billion acquisition by Microsoft. Microsoft did not use a financial advisor. It uses its own corporate dealmakers. For microsoft, the Tightly-integrated Skype services could be an added selling point for Windows Phone 7 which is Microsoft's Mobile operating system competing with Google’s Android and Apple’s iOS. And, currently Skype supports various platform. Since Microsoft is going to take over Skype, we can not expect continuing of this multi-platform support. Either Microsoft may stop supporting non-windows platforms, or they may not take care of the support/enhancements for the non-windows platforms such as MAC and Linux. 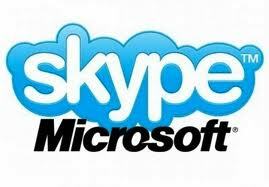 But regulatories may not allow this deal if Microsoft is not willing to continue the multiple platform support of Skype. Let us see how it is going. Do you think that this acquisition will affect Google Talk services or Android OS of Google? You can share your thoughts thro' the comments. 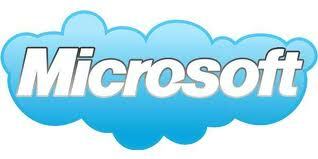 Experts are saying that this is the first good business made by Microsoft. You can see below the one person's comment in a LinkedIn Discussion about this Deal. It was the first good business made by Big M since 2006. It takes Microsoft in a leadership position in the strategical voip market and it strikes hardly its two main competitors. By the way probably Apple has a good hand and may gnaw an interesting percentage of the market. We can't say the same about Google which GTalk service had not persuaded a rilevant quote of the target. This acquisition will slow down Google. However the very victim of this move will be Nokia. From now on Voip main market will be the mobile's. While Google, Microsoft and Apple compete with Nokia in the smartphone field, they own strong intellectual properties and OSystems that works on different companies products. Nokia don't and it has not an effective voip software. So it will feel the blow.